Pennsylvania’s Keystone STARS program is an initiative of the Office of Child Development and Early Learning (OCDEL) to improve, support and recognize the continuous quality improvement efforts of early learning programs. The Keystone STARS performance standards provide the foundation for the program and are grouped into four levels – Standards, Training, Assistance, Resources and Support (STARS). Each level builds on the previous level and utilizes research-based best practices to promote quality early learning environments and positive child outcomes. Visit the PA Keystone STARS program website for more information. All areas of our centers are safe and well maintained, with 24 hour surveillance. Each center’s outdoor play area is self-enclosed and well maintained with safe, age appropriate features for all our students to enjoy. All our personnel have a PA child abuse history clearance issued by the Commonwealth of Pennsylvania and criminal clearances issued by the Pennsylvania State Police. Strict procedures on visitors, as well as whom can sign the children out are in place and designed to provide peace of mind, while being convenient and flexible. As part of making sure each child is growing up healthy and well, our program provides nutritious meals and snacks (for after care students only), that appeal to a young palate, every day. Our menus are selected and prepared in accordance with the health standards outlined by the State of Pennsylvania meal preparation guidelines. All kitchens are inspected and certified, as is our staff, in the safe handling of food. Staying well involves good hygiene practices. All children are taught and practice good hygiene skills, like handwashing and how to cover their cough or sneeze. Our staff keeps constantly monitors the health conditions in the class, year round, and lets families know immediately of any concerns that may seldom arise. 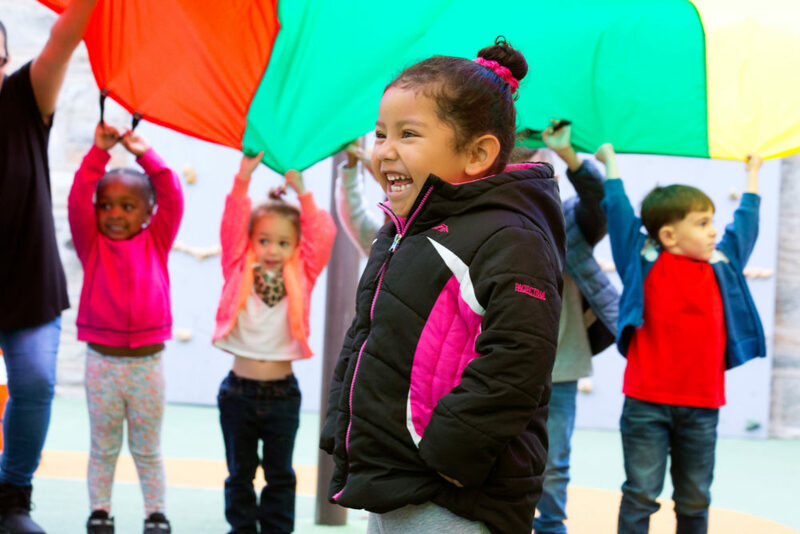 The HighScope early childhood education approach, used in our preschool was developed in the 1970’s using a philosophy based on child development theory and research. In its teaching practices, the HighScope curriculum supports children and helps them build on where they are at and provides the children with opportunities to choose materials, ideas, and people to interact with, within the lessons they work on. The adults working with the children see themselves more as facilitators or partners than as managers or supervisors and have flexibility with the program to adjust to the group. Positive educational as well as social outcomes have been shown to be much superior to those of children not in this curriculum Our educational setting is a fully inclusive environment. Our teachers are educated in required educational practices that can be supportive of any student with a variety of needs. All classes are of mixed age groups and ability levels. In addition to our highly qualified early learning team, we offer access to an extended team of professionals consisting of special instructors, therapists, nutritionists, etc.